This work looks at the transformation of the traditional workplace into a quasi-internal market environment where work activities in knowledge services are organized around clusters of similar or complementary knowledge stocks to address particular types of customer-clients priorities. 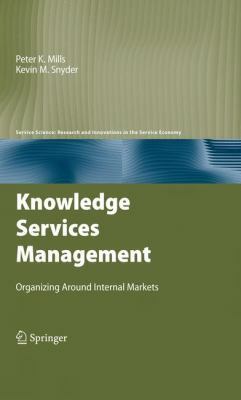 d.Peitgen, H. O. is the author of 'Knowledge Services Management: Organizing Around Internal Markets (Service Science: Research and Innovations in the Service Economy)', published 2009 under ISBN 9780387095189 and ISBN 0387095187. Loading marketplace prices 82 copies from $92.70 How does the rental process work?